This is the sound of me in love. This is one from the vaults. I made this awhile back, just after The Coffee Cellar. I was in love. I was so in love. When men are in love they often do big, romantic gestures to demonstrate the epicness of their feelings. So, i did what you might think i’d do. I wrote her an entire album. Her absolute favorite story of all time was The Little Mermaid (the original Hans Christian Anderson version.) 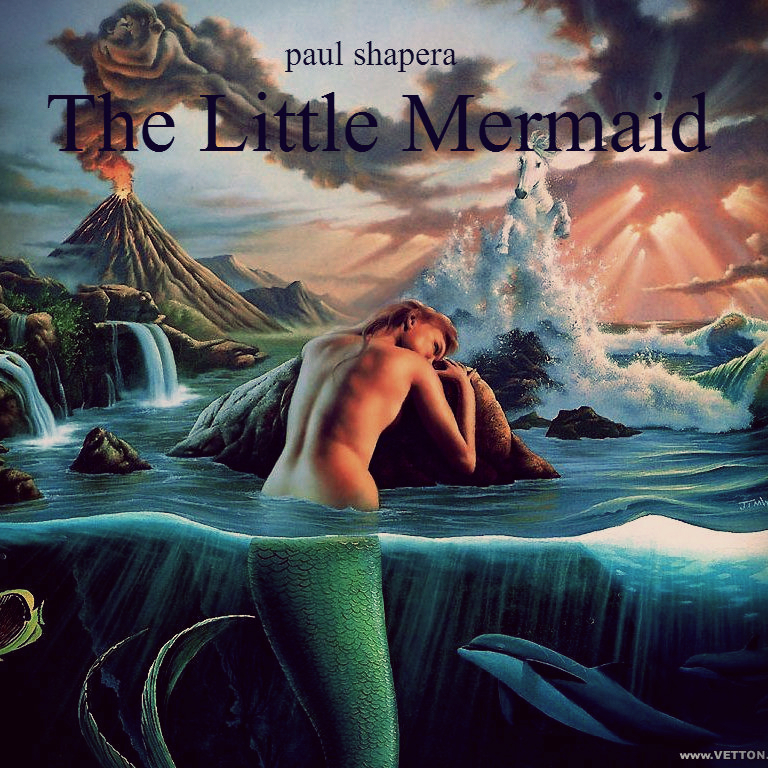 So i made her an album that told the original Hans Christian Anderson version of The Little Mermaid using music and narration. In the original story, the Little Mermiad not only cannot speak, but every single step she takes with her new legs is agonizing pain. She has no way to tell the prince how she feels or that she had saved him and loves him. She walks with him although each step is tearful torture. Finally, at the big ball, when she sees how much the prince is intrigued by these dancing girls, she steps up to dance for him, her only chance in the entire story to express herself, even though each step is unbearable pain. And DO listen to the one after it, Waiting For The Sunrise. This track was a defining moment in my learning to tell stories. This album was important on a musician’s level because i found i could tell stories using narration, which became a big tool for me. This album was in fact key for me as for the merging of music and story ( and as a side note, clearly i was still in my electronica phase). I would add, i must have done SOMEthing right, because she married me and our 4 year old is running about my feet as we speak.